Wide Strap Lace Evening Dress with Godet Hem | Sung Boutique L.A. 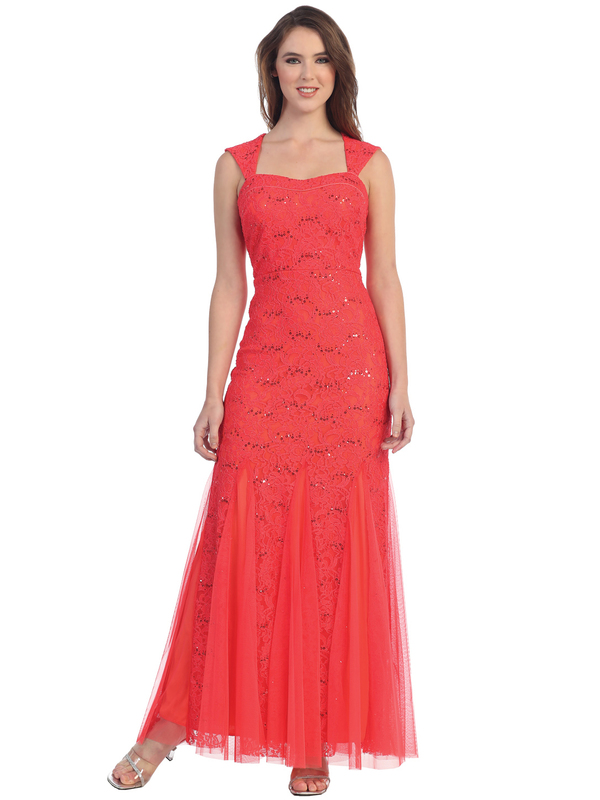 This evening dress features wide should with sweetheart lace bodice. Sparkling sequins twinkle throughout the dress. Fitted hip and flare godet hem for the style look.